Delivering optimized performance, a high quality of service and end-to-end data protection for servers that require enhanced data reliability. 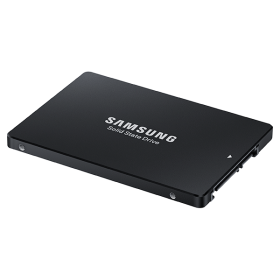 Samsung's 883 DCT SSDs are an ideal solution for servers that need enhanced data reliability to safeguard critical data. From optimized performance and a high Quality of Service (QoS), to power-loss protection and end-to-end data protection, they deliver a highly reliable enterprise storage solution using the SATA interface. And they're backed by a 5-year limited warranty up to 2,733 TBW.